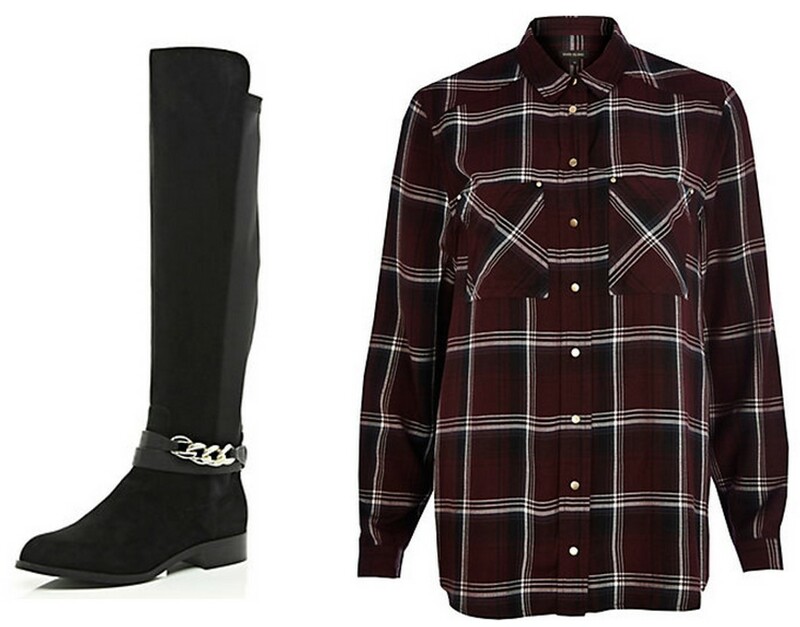 Autumn wishlist featuring items from Sheinside, River Island, Choies and New Look. Today is the first day of Autumn! This year has just flown by, I don't mean to be cliché but where has the time gone.. I'm back at university next week and after such a long break, I don't feel ready to learn one bit! I've loved this summer, it's been filled with new destinations, new experiences and a lot of warm weather. Nevertheless, I'm excited for it to get colder, I love wrapping up warm in jackets and jumpers - I find these to be the most cosy. I was still summer shopping in September which was a shock for me (I had never been on a summer holiday in September before this year), so I have to admit that now I'm looking forward to stocking up my winter wardrobe. I love the new A/W trends so I'm excited for it to get a little colder so I can go ahead and experiment! I'm a huge fan of Sheinside, I've blogged about Sheinside products in the past and I can't say I've ever been disappointed with their products. I initially was a little cautious as the products come from outside of the UK and so returning anything is unthinkable (unless you want to pay more for a return than the actual item cost!). With that being said, I have never had to return anything - even sizing is spot on on their sizing charts. 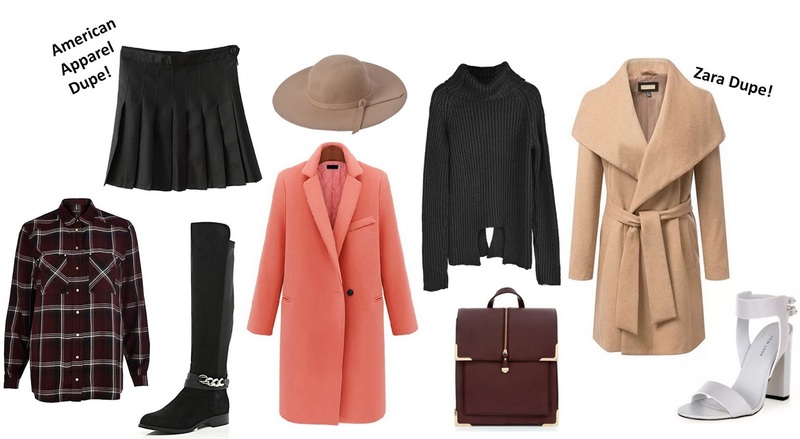 A/W means wrapping up warm in gorgeous coats and knits. Feel any deja-vu looking at the beige coat? It's a fabulous Zara dupe, this jacket on Zara costs over £150! I don't know about you, but my student budget definitely doesn't allow for that much spending on a coat! This alternative from Sheinside is an affordable dupe. I also fell in love with this coral number, I find I opt for dark clothing during the winter months and so adding a pop of colour with a coat is a fun way to brighten up your outfit. I've been eyeing up these pleated, sporty skirts from American Apparel and surprise, surprise, I managed to find a cheaper dupe in Sheinside. Well done Sheinside for all these fabulous dupes, my bank account says thank you! Since street style spotting at London Fashion Week, I have been eyeing up a pair of knee high black boots. I love these from River Island because they're pretty simple, I've seen so many overcrowded by chains and buckles which I'm not a huge fan of. What can I say about a check shirt? It's a must in any winter wardrobe, especially in dark, autumnal tones. I had never really come across Choies, it's another online shop similar to Sheinside, but I can't say much else about it as I only placed an order last week and delivery is usually pretty long! I love these roll neck jumpers, I think they make such a cosy new trend (big yay for comfortable fashion!) I also really want experiment with tucking my hair into jumpers, which is also a trend this A/W. 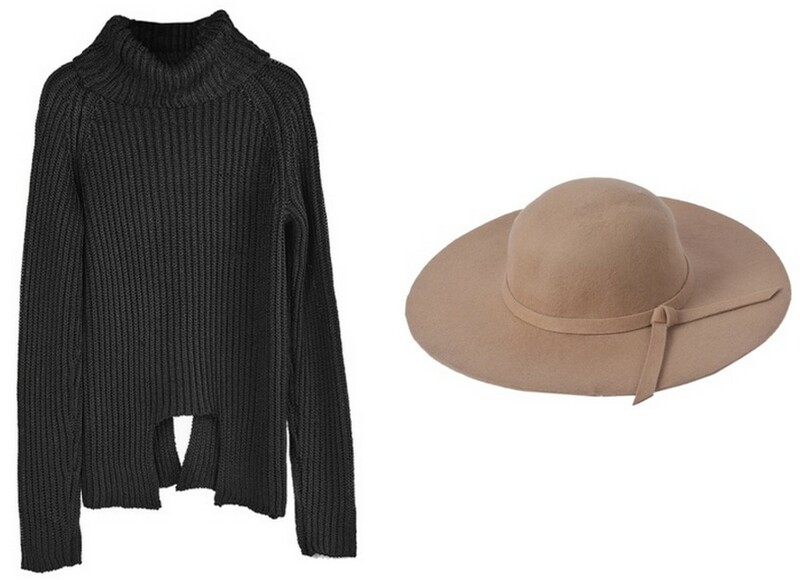 Camel is a gorgeous colour for Autumn, and I love the look of this oversized hat to add to my outfits. These heels may not be the most appropriate for A/W, and in rainy London? Even worse haha! But these remind me of a gorgeous pair I spotted in Zara before summer but didn't get my hands on. They're available in both black and grey but I was more inclined to this grey pair, as again, they'll be great to add something to a predominantly dark outfit. I surprised myself by loving the backpack trend and bought a pale blue one from New Look for the summer/back to school season. 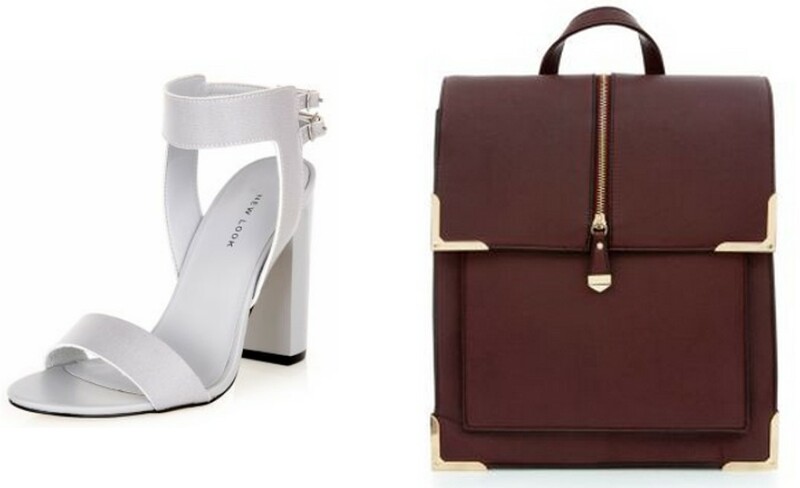 This deep burgundy backpack is gorgeous! It looks well structured and I think the colour is perfect for the coming months. P.S. I'm hosting a giveaway! Enter here, and good luck! Love the coats! 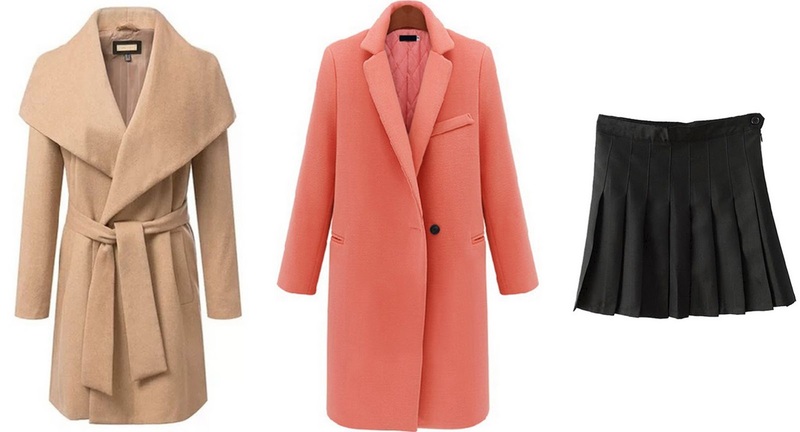 I get coat obsessed around this time of the year & start convincing myself I have to stock up, will definitely give Sheinside a browse.